Originally, the name of the school Magic Valley Beauty College, Inc., dba Magic Valley College and was established in 1955 in San Juan, Texas. In 1976, Magic Valley Beauty College, Inc. was purchased by the Shearer family. In 1984, Magic Valley Beauty College Inc.’s dba was changed to University of Cosmetology Arts & Sciences and was moved to McAllen, Texas in an effort to better serve the community. The school since then has expanded to more classrooms, offices and a larger student salon area. In 1988, the institution added another location in Harlingen, Texas to accommodate the students in the Cameron County area. Today, University of Cosmetology Arts & Sciences continues to provide high quality professional training in the field of Cosmetology. In December 30, 2009, an additional location was purchased in La Joya, Texas to accommodate students seeking education in the Cosmetology and related fields. This location is designed to serve quality education to the western Hidalgo and Starr Counties. University of Cosmetology Arts & Sciences expands furthermore in order to accommodate the growing demands of the profession. In October 14, 2000, the Shearer family purchased two (2) locations in the San Antonio, Texas area, named San Antonio Beauty College, Inc., dba San Antonio Beauty College. 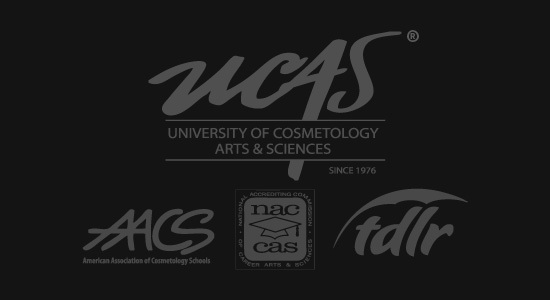 In 2010, the schools’ name has changed to UCAS, Inc., dba University of Cosmetology Arts & Sciences. The schools have been in operation since 1962 and still continue to provide high quality education in the field of cosmetology. The Corporations are currently owned and operated by Lucinda S. Leyva, President/ Owner of Magic Valley Beauty College, Inc., dba University of Cosmetology Arts &Sciences and UCAS, Inc. Cosmetology Arts &Sciences. The mission of the institution is to provide students a quality cosmetology related education, by preparing students for licensing and gainful employment. 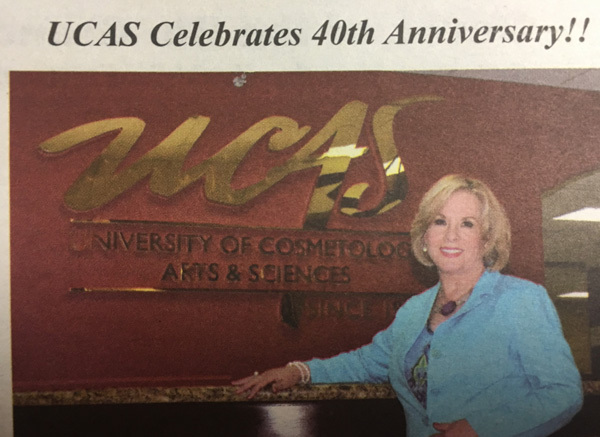 Lucinda S. Leyva, President & Owner of University of Cosmetology Arts & Science Celebrates their 40th Anniversary.